Do you have questions about how to use your computer or mobile device? Come to our Computer/Mobile Devices Users One-to-One Help sessions. 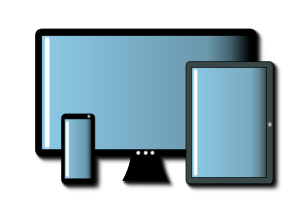 We provide assistance for all types of devices - smartphones/tablets (including iPads, iPhones, e-Readers), laptops and desktop PCs. You are encouraged to bring your own device. From time to time, these drop-in sessions will start with a short presentation on computer related subjects that members should find useful and relevant. The slides for these presentations are posted here. We are also in need of volunteers who are familiar with smartphones and/or tablets. Please drop by and talk to us if you are interested to help out. Volunteers need not be Cameron Seniors Society members. 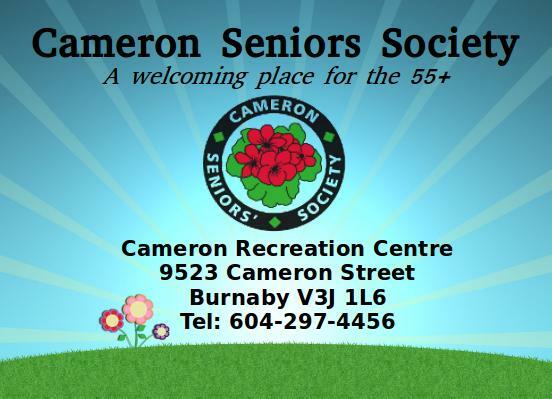 Please note that in order to participate in Cameron Seniors Society activities, you must have a valid Burnaby Seniors membership card. Membership may be purchased for one year at $18.90 + tax (single centre) or $45.30 + tax (multi-centre) at the Community Office . Please ensure that yours is up to date. Did you know that the hostess counter at the Seniors Lounge has coffee punch cards for sale? Pick one up today! 11 punches for $5 only! !